Styled with neri cargo short and benning jacket. Pairs well with keto or paleo or something. 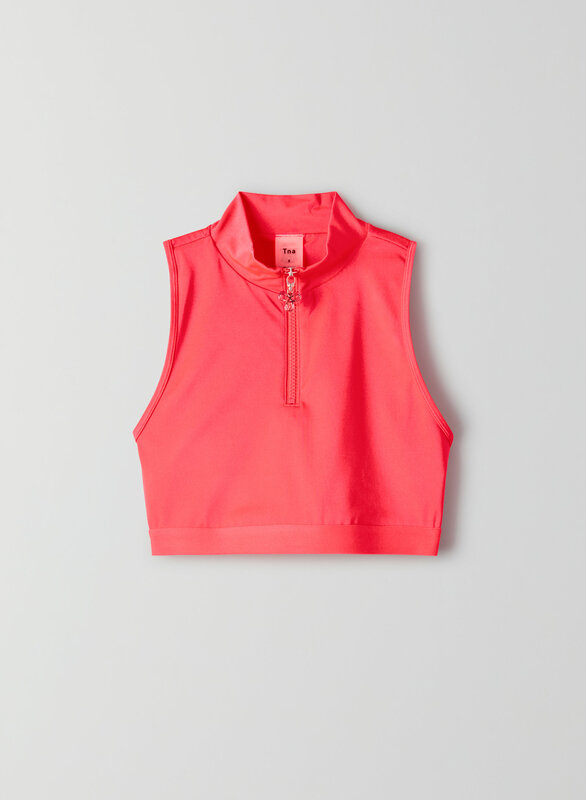 This is a sports-style bra top with a mock neck and front zipper. It’s made from a smooth, high-stretch fabric with great shape retention.